The tomb of civil rights icon The Rev. 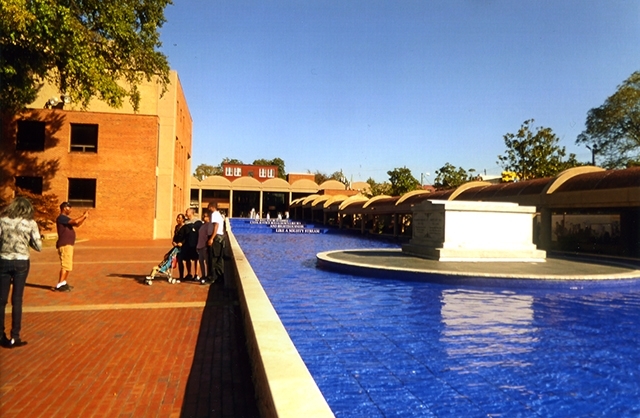 Dr. Martin Luther King, Jr. is located at Atlanta’s Martin Luther King Jr. National Historic Site. All I knew about Atlanta was that scene in Gone with the Wind where Gen. Sherman burns the city to a crisp. Oh, and chasing a connecting flight through its airport—the busiest in the world. So… why visit? Well, there’s that little event called the Super Bowl, to be hosted here in February. In a preview peek at the city, I shed my disdain for a skyline of All Things Tall and Shiny which arose after that historic blaze and explored life on the ground around them, starting with downtown’s Centennial Olympic Park. It boasts five must-see attractions, starting with Georgia Aquarium—largest on the continent—which puts visitors up-close and personal with scary sharks, Beluga whales the size of blimps, dolphins graceful as ballerinas, dopey, strutting penguins, man-size sea otters massaging their scalps, and manta rays that look like Batmobiles. Proceed to the World of Coca Cola to enjoy free samples as you gawk at the vault that allegedly contains The Secret Recipe; a theater showcasing commercials worldwide; accessories fashioned from crushed cans; and the gift shop of a lifetime. In Chick-fil-A College Football Hall of Fame, your badge calls up the Minnesota scene. Interactively, follow your team onto the field. Recruit players, weighing skill against travel and bonus expenses. (“Oh no,” my screen scolded. “You’re way over budget.”) As an “announcer”, record the play-by-plays. Kick an actual field goal, throw (hopefully) a touchdown, catch a pass. Then pass on to tour CNN’s headquarters, where you’re greeted by a reminder that “Facts are facts. They are indisputable.” Listening, Washington? The Antebellum mansions retain their pre-Civil War glory in small towns surrounding Atlanta. The last site is the most somber. It’s the Center for Civil and Human Rights, in this city that birthed the movement, leading off with segregationists’ quotes. Proceed through historic events, from braver-than-brave Freedom Riders and kids pioneering school integration, to resistance training (“No one goes out alone” edicts plus positions to take to survive a beating). Experience lunch counter sit-ins, where you’re invited, if you dare, to don headphones spouting obscene diatribes. Continue the story on Sweet Auburn Avenue, home of the city’s black middle class, where the Martin Luther King Jr. National Historic Site recounts the life of the peaceful resistance leader. Across the street stands Ebenezer Baptist Church, where you can hear him preach (via a recording) and where his mother was later shot dead while playing the organ. Visit his boyhood home and tomb. Another peace-loving man from Georgia became president—Jimmy Carter. His library here depicts his rise from peanut farmer to governor, then president, and his talent for getting enemies like Israel and Egypt to negotiate and solving the Iran hostage crisis. 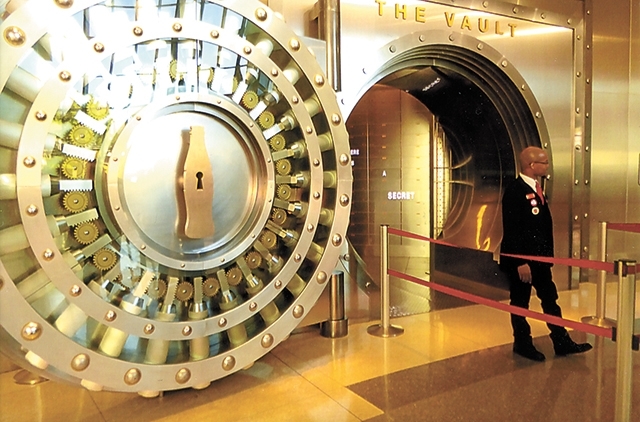 The World of Coca-Cola Museum is located in Atlanta’s Olympic Park, featuring the vault holding the soda giant’s secret recipe. Underneath this polished surface, a beguilingly quirky underbelly emerges—even at the venerated High Museum of Art, where a collection of Folk and Outsider Art alone is worth the trip. Bonus: its photo gallery starring outsiders Diane Arbus and Cindy Sherman. Continue by walking or biking the new, three-mile Eastside Trail, where you’ll spot scads of cheeky murals. Near it, check out the ultra-gay-friendly Clermont Hotel, newly remodeled in wink-wink Fifties fashion. Attached is a popular club featuring strippers nearing retirement age. The hotel’s rooftop pool and bar overlook vibrant Ponce City Market, an anchor of Midtown’s boys’ town. Pride Festival, one of the largest and oldest in the land, takes place in October. Atlanta’s surrounding county hosts DeKalb County’s Farmers Market, an alias for a covered marketplace roughly the size of the Pentagon, featuring spices from sumac to mango powder, twelve kinds of squash and two aisles devoted to potatoes. The market roasts its own coffee, makes its own sausage, pasta and bagels, and offers a cafeteria for people-watching. More eats at Matthews Cafeteria, in Tucker, whose third-generation owner proclaims, “Welcome to the New South. But our change is not to change—not hopping on a trend.” Thus, it’s famous for the hands-down best fried chicken in the county. Here’s the recipe, unchanged since 1955: bird, flour, salt and pepper, fried at 326 degrees (“not 325, not 327”). The Food Terminal, in a Chamblee strip mall, conjures the street-food scene of East Asia in a menu thick as a magazine. It’s high on Atlanta Magazine’s “best new restaurants” list. 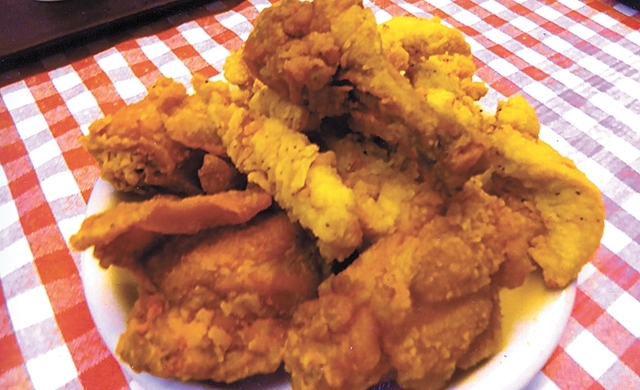 The famous fried chicken at Matthew’s Cafeteria is widely considered to be the best in Georgia. Atlanta gave birth to the Waffle House chain, so it’s only fitting that the original site of 1955 serves as a museum. Across the street rises Odd’s End, a sorta-antiques shop where you can snag a ventriloquist’s Charlie McCarthy puppet, false teeth, a billy club, and a stuffed frog. Enticed? For more info, visit www.atlanta.net. 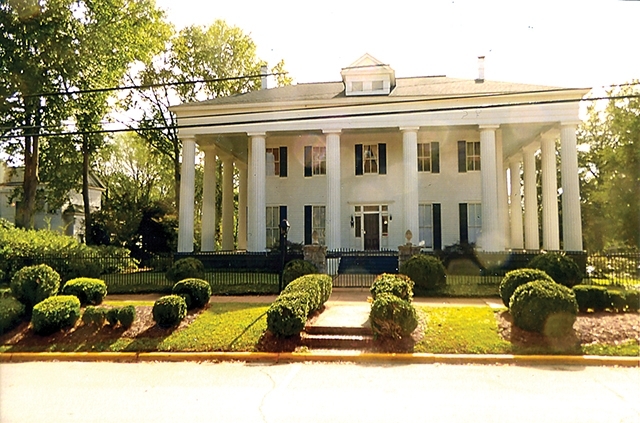 A trolley tour through the Historic District stops for visitors to tour several antebellum sites, starting at Rose Hill, a white-columned Greek Revival home of 1852. Then venture into the Old State Capitol to visit the House of Representatives Chamber, where Georgia seceded from the Union. Explore Brown-Stetson-Sanford House, built in 1825 as a hotel; southern author Flannery O’Connor was a fan. Then explore the Old Governor’s Mansion, occupied by Sherman during his march to the sea. Andalusia, a cotton plantation where O’Connor lived in a bristly relationship with her mother while managing the farm’s precarious operations, is shrine to both her writing and her outsider status. It’s punctuated by her collection of All Things Peacock (including 40 birds, some of which remain). After earning three college degrees in three years while working as a political cartoonist, she died at 39, leaving her claim as her greatest accomplishment: at age six, teaching chickens to walk backward. More authors called nearby Eatonton home—in fact, the tiny town is site of the Georgia Writers Museum, which honors, among others, its top three: O’Connor, Alice Walker (The Color Purple), who will return to celebrate her 75th birthday in July 2019, and Joel Chandler Harris, author of the folksy Uncle Remus stories, gleaned during this white man’s childhood listening to black caretakers’ tales about B’rer Rabbit, B’rer Fox and other tricksters. They’re brought to life in the Joel Chandler Harris Museum, housed in former slaves’ quarters. Eatonton also hosts Plaza Arts Center in a former schoolhouse now serving as an historical museum, tracing from earlier Creek Indian beginnings to the reign of King Cotton and black sharecroppers. “Hard Times” poses an impactful photo history of the Great Depression. Because Sherman once again spared the town’s mansions, the lovely Habard House was recently reclaimed as an enchanting B&B. Madison gleams with more stately mansions spared from Sharman’s torch. Today its Historic District boasts over 50 antebellum homes (self-tour app available), leading off with Heritage Hall, erected in 1811 by a fellow who became the town’s doctor after completing one year of medical school (which gives new meaning to the phrase “practicing medicine”). Madison-Morgan Cultural Center, built in 1895 as a grade school, now lends its stunning auditorium for cultural events. It hosts an art gallery and restored schoolroom, too. At the edge of town, pull over for the ultimate farm-to-table experience at Farmview Market. In addition to locally-sourced groceries, it boasts its own grist mill (think grits!) and sausage-making facility for over 50 varieties, ranging from chocolate chili to Philly cheese. Rush to the bakery counter to indulge in classic Southern wonders like pecan pie (not pe-CON; it’s PEE-can, remember), coconut cake, banana pudding and Coca-Cola cake. For breakfast in its café? Chicken with biscuits and gravy, if y’all know what’s good for you. For more inspiration, check out www.georgia.org.